Now through April 30, 2019, when you purchase a set of 4 select OEM replacement tires from Continental, Pirelli, or Goodyear, you can save $100 Instantly! If your Land Rover needs tires – now is the perfect time to buy! ** Offer cannot be combined with other tire rebates or dealership coupons. $100 rebate on the purchase of four new Continental, Goodyear, or Pirelli OEM, OEA, and WIN tires. All four tires must be the same SKU unless a staggered fitment is required. Offer expires April 30, 2019. See your service advisor for complete details. Purchase any 3 Land Rover accessories and save $30.00. Combine some all-weather floor trays, a polo shirt and maybe a bike or roof carrier and receive $10.00 off each! Discount only applies to genuine Land Rover accessories purchased either over the parts counter or installed in our service department. Offer not available on prior purchases. The same detail team who preps each new Land Rover for delivery, is the same team that can help bring your Land Rover back to like-new condition all over again. Bring the look of your Land Rover back to life with our Complete Detail Service. Interior Detail including Carpets and Upholstery. Alloy wheel cleaning and tire dressing. Clean all windows, door jambs, and trim. Coupon not valid with any other offer. Must present coupon at time of purchase. Limit one coupon per person. Coupon does not apply to prior purchases. Other Restrictions may apply. Void where prohibited. See your service advisor for complete details. These smart, practical steps make it easier to get in and out of your Discovery. They also feature a stainless steel finish with laser etched Discovery branding. Neatly stowed under the sills, the side steps automatically deploy as soon as the door is opened, or when activated by the key fob. They stow automatically when the door is closed. *Coupon not valid with any other offer. Must present coupon at time of purchase. Limit one coupon per person. Coupon does not apply to prior purchases. Other Restrictions may apply. Void where prohibited. See your service advisor for complete details. 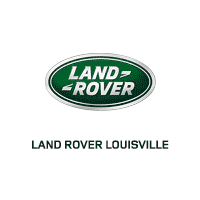 Land Rover Louisville	38.2424143, -85.6281473.